The jubilee 20th International Trade Fair of Analytics and Measurement Technology “EuroLab 2018” and the 7th Forensic Technology Fair “CrimeLab 2018” have gone down in history. 172 exhibitors from 19 countries presented their offers including the latest solutions in the field of analytical, control and measuring instruments, laboratory equipment, comprehensive laboratory accessories, including vessels and lab glass, furniture, biochemicals and reagents, protective clothing along with accessories that ensure occupational safety, and IT systems supporting laboratory activities. During the three-day fairs, on 14–16 March, the Fair and Conference Centre at ul. Marsa was vibrant. 6,000 people visited the exhibitors’ stands and took part in numerous conferences, presentations and lectures. 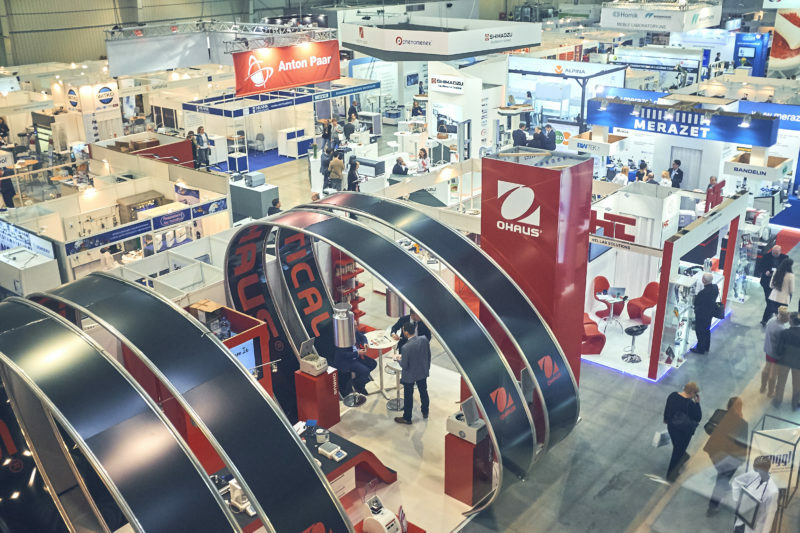 The EuroLab and CrimeLab fairs are the biggest event of this type in Poland, with an established position, rich tradition, but which at the same time constantly changes in terms of the needs of exhibitors and the entire industry. It is a combination of science and business, a place where theory meets practice, the effects of which are visible at subsequent trade fair meetings. It was no different this year. The opening ceremony of this year’s edition of the EuroLab and CrimeLab fairs was attended by many distinguished guests. Ewa Tomaszewska, Member of the Polish Parliament, having read a congratulatory letter from Marek Kuchciński, the Speaker of the Sejm, shared her personal opinion. “The fair programme is extremely interesting” – she said – “I regret that one cannot attend all the events”. Paweł Rowiński, vice-president of the Polish Academy of Sciences, in recognition of special merits for the development of Polish and world science, related to the social role of science, presented Urszula Potęga, MT Targi Polska president, with a medal of the Polish Academy of Sciences, stating that: “It is more than just a trade fair”. The participants could also see what the first Polish standard looked like. Its framed copy was presented to Urszula Potęga by Tomasz Schweitzer, president of the Polish Committee for Standardization, thanking her for her long-term cooperation. On the occasion of the 20th anniversary, the organizers thanked the co-creators of the first editions of the fairs, the exhibitors, institutions and all those who have been supporting the trade fair all those years for their contribution. On behalf of Prime Minister Jarosław Gowin, Minister of Science and Higher Education, the Grand Prix statuette for many years of substantive cooperation was received by Renata Janik, his advisor. President Łukasz Sałański invited for an additional treat – the jubilee cake for the 70th anniversary of MPW Med. Instruments. It is worth recalling that the honorary patronage over this year’s edition of the fairs was taken by: Jarosław Gowin, Minister of Science and Higher Education, Piotr Cieśliński, Member of the Polish Parliament, Chairman of the Parliamentary Team for Chemical Industry, PhD Eng. Marek Haliniak, Chief Inspector of Environmental Protection, Prof. Jerzy Duszyński, President of the Polish Academy of Sciences, PhD Eng. Włodzimierz Lewandowski, President of the Central Office of Measures, and the Ministry of Entrepreneurship and Technology. During this year’s edition of the fairs, 172 exhibitors presented themselves, taking care of the variety and attractiveness of their exhibitions. At the stands, one could not only talk with the representatives of individual companies, but also, or perhaps first and foremost, get acquainted with the products offered. This year, a reference laboratory was presented under the “CleanLab” slogan. The constructed laboratory, with a lock, a cloakroom and a laboratory workroom, aroused great interest of the visitors. As DanLab general director Danuta Katryńska explained – “Clean rooms are present at such an important event for the very first time. So far, no one has ever faced this topic. We want to present the latest technological and equipment solutions at the most important event in the laboratory industry in Poland”. When it comes to the fairs, Małgorzata Miedzierska-Przystura from PZ HTL S.A., a company which offers measuring, medical and analytical equipment, who has been present at the event from the very beginning, wore her heart on her sleeve. “Traditionally, the meetings at the fairs bring us a lot of orders” – she said – “It’s also great that so many science authorities are being invited”. At the RADWAG Wagi Elektroniczne stand, one could see a whole range of measuring products, and among them, XA 4 microbalance module, awarded in the competition for the best fair offer. For years, RADWAG has been one of the world’s leading scales manufacturers, and for 20 years has been presenting its offer at the EuroLab Fair. PhD Eng. Witold Lewandowski, the company’s general director, notes the differences between the first editions and the current one. “The fairs are changing their style, their role changes, but it does not diminish. They remain a one-of-a-kind meeting place for professionals, giving an opportunity to share one’s experiences” – he said. Once again, the Environment Protection Department of the City Guard of the Capital City of Warsaw was present at the fairs. It demonstrated a specialized car, which is a mobile control and measurement laboratory. Piotr Mostowski, deputy head of the Department, proudly spoke about the actions taken in the field of air, water and soil protection. “We have more equipment, this year we obtained a drone equipped with formaldehyde and hydrogen cyanide analysers, which is used primarily to engage in activities related to the smog and smog emitters. Owing to the fairs, we also learn more, hence our presence here” – he stated. A wide range of laboratory centrifuges encouraged the participants to visit the stands of MPW Med. Instruments, the company which celebrates its 70th anniversary of operation. “We wanted to celebrate our anniversary together with our partners and our customers” – marketing and sales manager Krzysztof Moshrif said – “We deliberately chose the EuroLab Fair for this purpose. Here we traditionally present our new products, meet with our partners and have an opportunity to meet the end-users and their expectations personally”. Malvern Panalytical offers specialist precision, control and measuring instruments. This global company with a great reputation highly values its present at the EuroLab Fair. “The fact that the company is recognizable is not enough, you just have to be here, with the highly specialized equipment we offer, the opportunity to test it and meet the customer face to face is very important” – said Szymon Stolarek representing the sales department. Sartorius, one of the world leaders in the supply of laboratory equipment and industrial technologies, proposed at its stand mass comparators, moisture analysers, analytical and micro-analytical scales, electronic pipettes and many other interesting products. As sales engineer Wacław Górski remarked – “We are a global company, and we are here to prove that our portfolio is growing, we are growing, we are taking over new companies and we are expanding our offer. It is a great opportunity to make our current customers remember us and win new ones”. At the fairs, the Chief Inspectorate of Environmental Protection promotes its activities and portals on which they are presented. “The fairs are fantastic, we’ve obtained a lot of information that will be useful in our work. We’ve also met many exhibitors who may be helpful in protecting the environment in Poland” – Anna Dębowiec stated. The Polish Academy of Sciences has been participating in the fairs from the very beginning. At first, only through the involvement of experts in shaping the programme, but later their participation began to expand. As vice-president of the Polish Academy of Sciences Paweł Rowiński said – “We funded the Grand Prix for the most innovative product, and now we’ve decided that it is a great place to present our institutes and their scientific potential, confront the scientists with the economy, because, as we all know, there is a huge demand for good instruments. 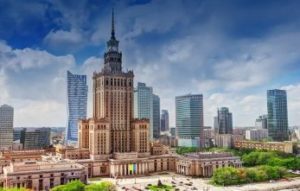 There is no other comparable project on the Polish market juxtaposing the economy with science where one can showcase products that serve science and learn about their practical operation and, at the same time, meet with people from the industry and participate in so many specialist conferences. It’s where science and business meet”. As every year, the organizers took care of an extremely varied programme of accompanying events. In principle, it is difficult today to describe them as accompanying events, because they have become extremely important elements co-determining the high substantive evaluation of the entire trade fair event. It is precisely during them that the location of the EuroLab and CrimeLab fairs is best seen – at the crossroads of business and science. This year, the leading theme of the fairs was Clean Room. The “Clean Room – construction, equipment, service – everything you need to know about controlled zones” conference, the “Practical aspects of working in a Clean Room – staff, materials, hygiene” workshops led by Patrycja Sitek from CR Consulting and the “How to design, build, equip and ensure the Clean Room operation without any problems” interactive show by CleanRoom Sp. z o.o. Sp.k. – all this was devoted to the topic of Clean Room. As Patrycja Sitek from CR Consulting said – “The conference and the workshops were dedicated to clean rooms, concerned their functioning, the way of equipping them, working in them and the flow of the personnel and the materials. The attendance was beyond our wildest expectations”. This statement can also be applied to other events, because the halls prepared in many cases were not able to accommodate all those willing to attend them, hence the earlier registration proved to be extremely useful. This was also the case of the “We implement new ISO/IEC 17025 requirements in the laboratory activity” conference organized by the Polish Centre for Accreditation, which, as explained by the Centre representative Hanna Tugi, concerned mainly “the approach based on the analysis of risk in laboratory activities and the verification of compliance with specialized requirements”. A series of lectures entitled “Problems of Laboratories” organized by the POLLAB Polish Research Laboratory Club and the Polish Committee for Standardization attracted crowds of participants. It is hardly surprising, since, as stated by Prof. Ewa Bulska, director of the University of Warsaw Biological and Chemical Research Centre, “there are no laboratories that have no problems”. This practical aspect and well-chosen subject matter regarding, among other things, proficiency tests, requirements and expectations connected with them, statistical analysis of proficiency tests and inter-laboratory comparisons carried out based on the ISO 13528:2015 standard as well as the update of standards requirements for management systems and implementation of EN ISO/IEC 17025:2017 standard requirements in the research laboratory resulted in an extremely lively and creative discussion, which was continued at the stands after the panel ended. An important element of the programme were also the issues of medical and laboratory diagnostics. The “Point-of-Care (PoC) – modern medical diagnostics from the engineer’s point of view” conference was devoted to this topic. As its coordinator and the Warsaw University of Technology Rector’s Plenipotentiary for the InterBioMed Platform Prof. Zbigniew Brzózka said – “The conference proved that such projects are implemented in Poland, Polish solutions are created, Polish know-how is created, and all this is targeted at the public, at patients. As the society is ageing and hospitalization is the most expensive, solutions that provide care at home using miniaturized modern instruments will be more economical. This option, already used in the US and in many European countries, can also be introduced in our country”. In turn, during the “Laboratory diagnostics – what lacks” conference organized by the Polish Society for Laboratory Diagnostics and held by president MD-PhD Anna Mertas, one could get acquainted with methods of detecting diabetes and preeclampsia or with the issues of the diagnosis of respiratory and urinary tract infections and hepatotropic viruses. The Central Office of Measures prepared a series of lectures presenting the history, current activities and development strategy, and the participants of the session on environmental protection had the opportunity to learn more about the role of the Environmental Protection Inspection in ensuring the ecological safety of our country and about the activities of the City Guard of the Capital City of Warsaw in this regard. A scientific conference on molecular microbiology was prepared by the University of Gdańsk. The conference focused, among other things, on the subject of antibiotic crisis and phage therapy, and during the “Molecules, atoms and isotopes, or fantastic analytical possibilities” session organized by the Biological and Chemical Research Centre; the Faculty of Chemistry, University of Warsaw and the Committee on Analytical Chemistry, Polish Academy of Sciences, the participants paid particular attention to the presentation on the current topic of legal highs (“What’s new in legal highs? Review of the latest trends in psychoactive substances based on data from police forensic laboratories”). The aspect of specific and practical application of instruments, systems and dedicated technical and technological solutions was also covered by the “LIMS – quality and daily work” presentation, the lectures entitled “Safety solutions and risk of chemical inhalation” and “Laboratory design – key phases of the investment process” and the “Methods of filtering air from research stations in ventilation systems with constant or variable flow” conference. Traditionally, the announcement of the winners of the fair competitions brought many emotions. The Grand Prix of the President of the Polish Academy of Sciences was won by Bruker Polska Sp. z o.o. for “Handheld Raman Spectrometer – BRAVO”. LGC Standards Sp. z o.o. was honoured with a distinction for “Collections of Polish certified reference materials for laboratories analysing food and environmental components, created as part of the MODAS programme”. In the competition for the best offer of the 20th International Trade Fair of Analytics and Measurement Technology “EuroLab 2018”, the winners were selected in four categories assessed by independent competition commissions composed of representatives of scientific circles. In the “Laboratory measuring instruments” category, the award went to RADWAG Wagi Elektroniczne Witold Lewandowski for “XA 4 microbalance module”. Elmetron Sp. j. and HIM-POL A.M. Borzymowski, E. Borzymowska-Reszka, A. Reszka Sp.j. were honoured with distinctions for “Multifunctional measuring instrument CX-705” and “IRSpirit – a compact FTIR spectrometer”, respectively. In the “Laboratory equipment” category, the award went to RENGGLI Systemy Mebli Laboratoryjnych for “Universal laboratory tables, series RLT MOTION”, and Danlab Wyposażenie Laboratorium and DELTA OPTICAL G. Matosek, H. Matosek Sp.j. were honoured with distinctions for “SU780XLE low temperature freezer” and “DLT-Cam PRO 6.3MP USB 3.0 camera”, respectively. “Equipment of a medical diagnostic laboratory” was another category assessed by the jury. Here, DELTA OPTICAL G. Matosek, H. Matosek Sp.j. was matchless, being awarded for “Delta Optical ProteOne microscope”, and Eppendorf Poland Sp. z o.o. and POL-LAB Sp. z o.o. Sp. K. were honoured with distinctions for “Mastercycler X50” and “Pol-Lab AERO 1200 fume hood”, respectively. Last but not least, RENGGLI Systemy Mebli Laboratoryjnych was awarded in the “Clean Room laboratory equipment” category for “RLModule modular building system”. ETISOFT Sp. z o.o. and TSI Sp. z o.o. were honoured with distinctions for “etiCALLS – labelling system for laboratories” and “AeroTrak model 9310 particle counter manufactured by TSI Inc. from the United States”, respectively. Th.Geyer Polska Sp. z o.o. was named the winner of the MT Targi Polska S.A. Competition for the most original and professional trade stand “Moździerz 2018”, while Eppendorf Poland Sp. z o.o. and Erlab DFS SAS were honoured with distinctions. We would like to warmly thank all those who contributed to the success of the EuroLab and CrimeLab 2018 fairs for their involvement. We hope to meet again next year, but in a different location. The fairs return to the roots and will take place at the Palace of Culture and Science. Very positive, and sometimes even enthusiastic, comments from the exhibitors of other trade fairs that have been moved there instil optimism. Therefore, see you next year in the heart of Warsaw.